When I was in High School, we took a Band Trip out to New York. We did our bad events and also had a few days to tour New York City. We saw the Statue of Liberty, Phantom of the Opera on Broadway and also did a lot of sight seeing in groups. My group decided to go and see the World Trade Center towers. 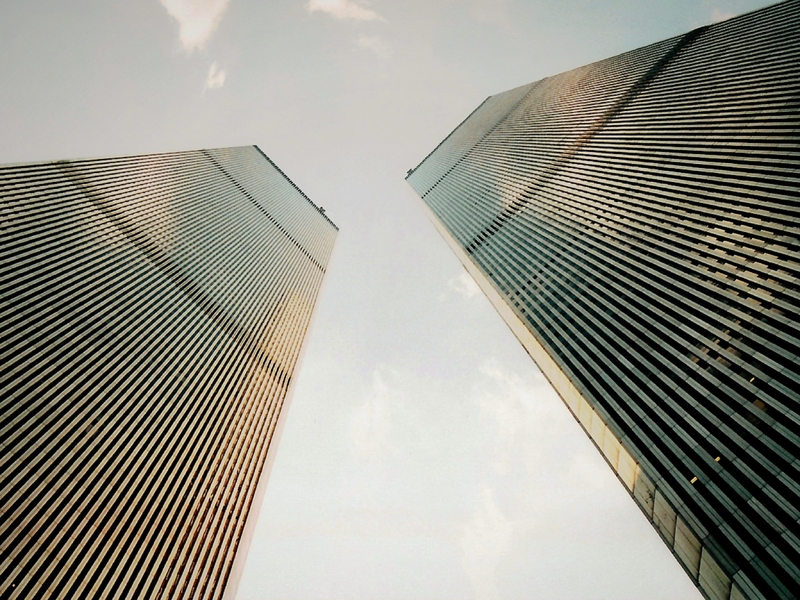 I remember standing at street level, and looking up at the two massive buildings. I also remember then taking the longest elevator ride of my life right up to the very top. You could see every part of New York City and beyond from the observation deck. It was breathtaking. When I was in college, I walked into my Music for Elementary School Teachers class to faces of disbelief as a voice on the radio talked through the horrific events that were happening. A plane had flown into the Pentagon and another into one of the World Trade Center Towers. Later that day, in fear and sadness, I watched that other plane and then later, both towers collapse. In the days and weeks to come, I’d watch footage on the news and hear the heartbreaking stories of devastation and loss. I’d also listen in awe to hear stories of the men and women who didn’t run from the towers that day. The New York City Police and Fire Departments were marked as the heroes of 9/11. They were the ones who ran into the towers and sacrificed their lives in hopes of saving others. Through their lives and their stories, I saw glimpses of good and found hope that the world would still be okay. And now that I’ve spent the last twelve years living in New York, I sit here today in quiet remembrance, on the anniversary of September 11. It’s a day that brings up so much because it hits so close to home for our friends and neighbors here. My heart and prayers go out to the families who were affected by the tragedies of 9/11. And still, amidst the stories of devastation and loss, are stories of hope. Stories of a great city and a nation that did not crumble that day, but that came together and came out stronger than before. My prayers go out to all of those who lost their loved ones. And my sincere thanks goes out to the all of the heroes, the men and women, who still looked for and accomplished good amidst one of the greatest tragedies of our nation. We will continue to remember, and continue to have such gratitude for all that was sacrificed on that day.